A wholly owned subsidiary of GGR Technologies P/L, BottleCrusher is the market leader in glass bottle crushing technology. We design, manufacture and supply a range of patented on-site glass bottle crushing machines to assist venues all over the world with glass waste management, glass recycling and glass volume reduction. 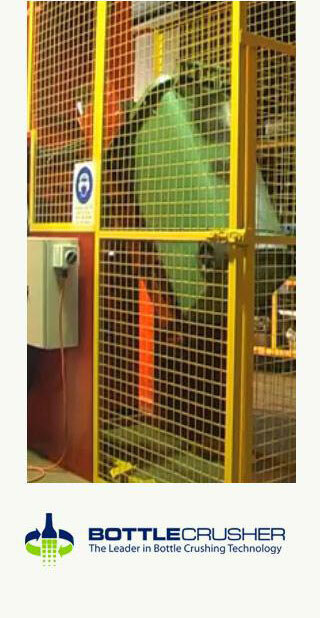 Our machines allow you to reclaim valuable space, minimise noise pollution and reduce occupational health and safety risks. There is a BottleCrusher machine design to suit every environment and volume of glass. From compact machines that can be positioned behind the bar to machines capable of processing full bins. We currently supply BottleCrusher machines to bars, restaurants, nightclubs, convention centres, marine vessels, canteens, mine-sites and casinos in Australia and overseas. The BottleCrusher technology is safe and quiet. Our range of machines deliver reduced noise emissions and up to 75% reduced glass volumes. 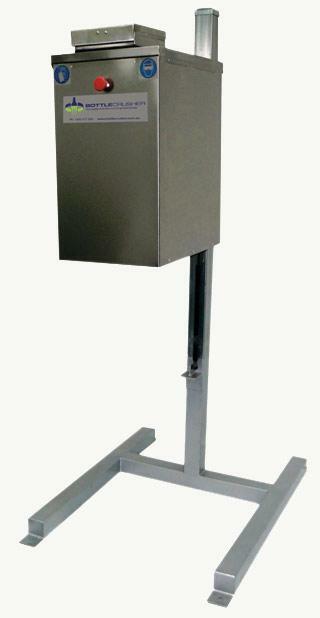 Importantly, you and your team will find BottleCrusher machines easy and efficient to operate. It is a one person job. The GGR Technologies team is committed to sustainability and encouraging glass recycling. 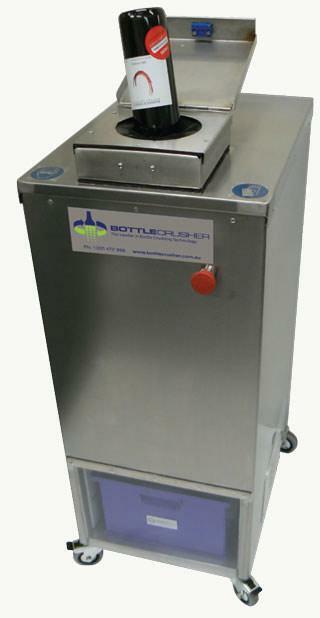 The BottleCrusher will reduce the volume of your glass waste by up to 75%. Twenty bins will be reduced to just five saving you both space in your waste disposal area and money on waste collection.